June 20, 2018, 8:14 a.m.
A regular theme of my columns over the last year has been the struggles that have gripped the high-street. Back in October last year I discussed how Debenhams was faring ahead of the company’s full year results – and at that time it was clear the brand was already facing significant challenges. Yesterday, the retailer announced that it believes this year’s full-year profits are likely to fall below previous expectations of £50m, and will sit somewhere between £35-40m. The brand has implemented a modified business plan designed to cut costs and boost sales but this is the third time this year that the company has issued a profit warning. YouGov brand tracking data helps to underline where Debenhams has been suffering the most in terms of public perception of its brand. 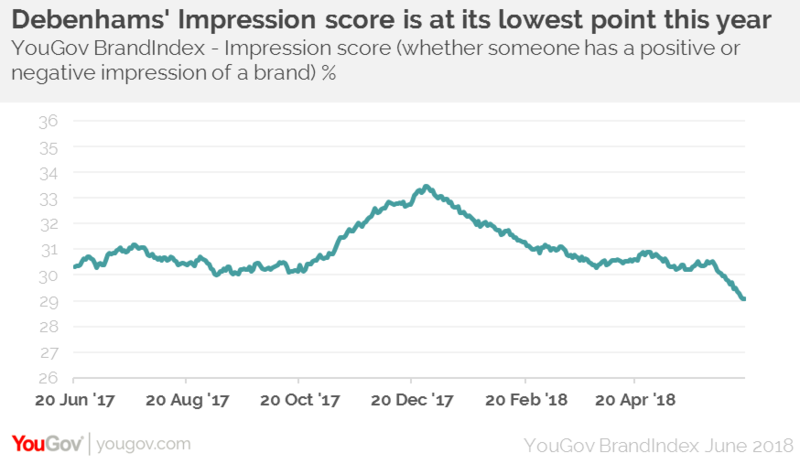 Currently, it’s impression score (whether someone has a positive impression of a brand) is at its lowest score since June last year, at 29. Though this is a relatively strong score, it is outstripped significantly by rivals Marks and Spencer (50) and John Lewis (40) – high-street stalwarts that are not without struggles of their own, but are able to outflank Debenhams with their reputation as premium quality retailers. Among those who have purchased something from Debenhams within the past six months, the brand’s purchase intent score (whether someone is likely to purchase from the brand) has dropped six points since this time last year (43) to now (37). Added to this, since the turn of the year, Debenhams’ quality score among those aged 18-34, has dipped from 35 to 30. Debenhams’ latest profits warning adds to a number of recent setbacks for high street retail stores. The threat from online competitors such as Boohoo and Asos shows no sign of abating, and traditional bricks and mortar stores are dealing with increased import costs, higher business rates and dwindling consumer confidence. Debenhams’ chief executive Sergio Bucher has recently pointed to “exceptionally difficult times in UK retail” and suggested a lack of optimism for the near future, saying “we don’t see these conditions changing”. 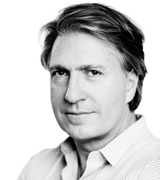 If he is correct, we can expect to see several high-street brands’ metrics continue to struggle.